Being a line worker takes time, determination, and guts. Think you have what it takes? Many students entering our program are right out of high school. So we have information just for parents who’d like to know what their kids are getting into. Our “Program” page can help you learn more about the training involved, what it costs, and how it can work for you. You can enroll completely online. Or, you can print out our enrollment form and mail it in to us. You’ll want and need good information when deciding to become a lineworker. We know you’re going to have a lot of questions, and this page will help you with answers. If you’re looking for people with training and experience to fill positions in your lineman training apprenticeship programs, then contact us. We have a steady stream flowing through our school. Power line contractors and utility companies are facing a severe shortage of line workers to fill their future needs. But to reach the level of journeyman, a worker typically spends 3 ½ to 5 years learning and training. The early stages are filled with developing the basic skills and fundamentals on which the whole trade is built. Without these fundamental skills, success is not possible. 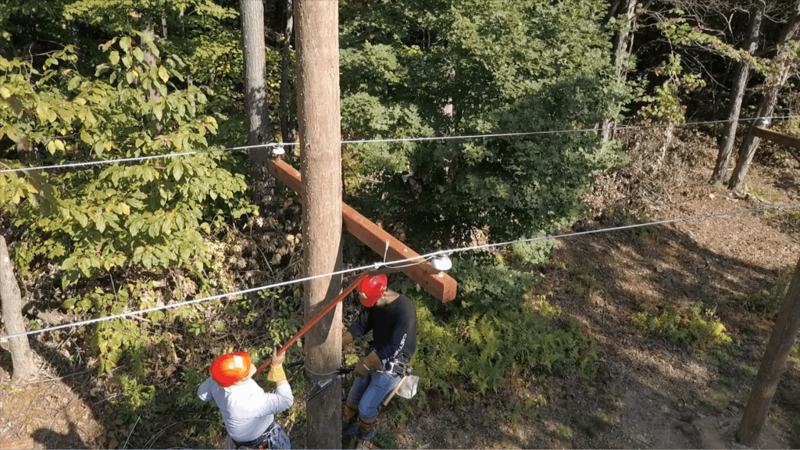 So GPLA has designed and developed a lineman training pre-apprenticeship program to meet the needs for teaching these fundamentals to the next generation of essential line workers. Global Power Line Academy’s training program has been approved for Veteran’s Educational Benefits. For more information on how to use your Veteran’s Benefits at GPLA, please contact us.